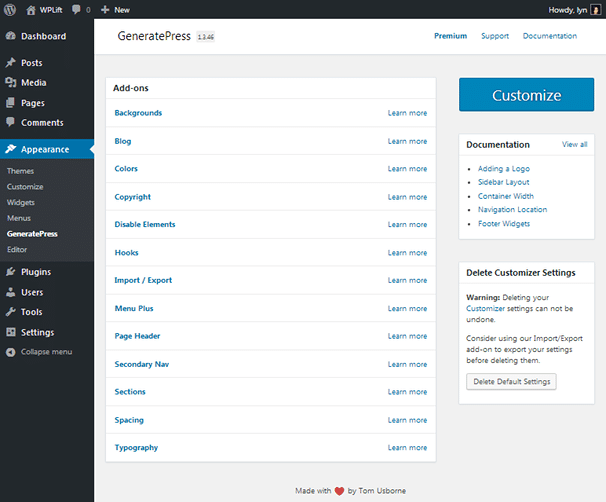 GeneratePress is a modular WordPress theme designed for developers. It was developed by Tom Usborne, a developer with 15+ years of experience developing websites and 8+ years of experience with WordPress. Tom developed WordPress sites from scratch and grew tired of having to create new themes for each site he built. GeneratePress was his solution. It allowed him to start with a base rather than having to start from scratch each and every time he created a new website. He released the theme in the theme repository at WordPress.org for other developers to enjoy, and it now has over 930,000 downloads, 60,000+ active installs, and an outstanding 5-star rating(!). Other WordPress users began requesting more and more features, but Tom didn’t want to taint the idea of having a theme any developer could pick up and use as a base for his own design. His solution for that came in the form of premium add-ons you can use to add additional features to the theme with ease. 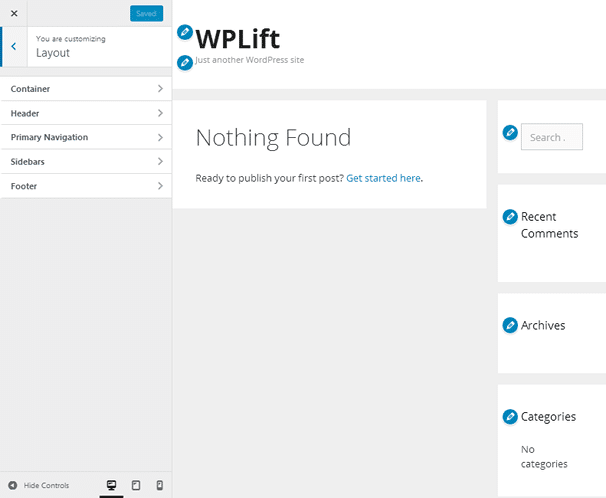 We’re going to take a look at the free version of this theme, so without further ado, here is WPLift’s review of GeneratePress. Responsive – This theme is compatible with all screen sizes. Optimized for Speed – The base theme is stripped down and lightweight. Its modular nature allows you to add features as you need them rather than having to deal with a bloated theme that has features you may not need. Microdata Included – This theme is integrated with Schema.org microdata, which ensures your site is as optimized for search engines as possible. Secure & Stable – The developer keeps up with the latest coding practices used by WordPress developers and general developers alike. 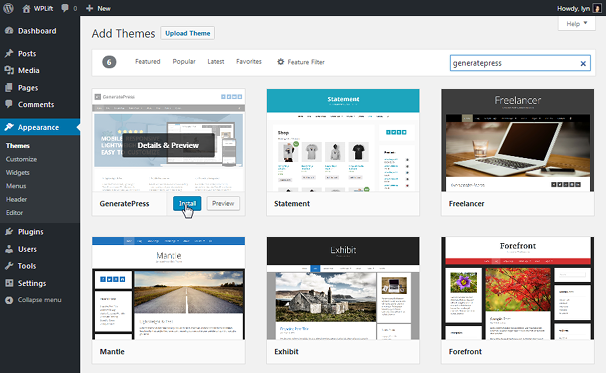 Customizable – There are a lot of options available in the live theme customizer. Modular – Over 12 add-ons are available, making this one of the most modular themes available for WordPress. Built-In Icons – This theme comes with a library of over 600 icons from Font Awesome. 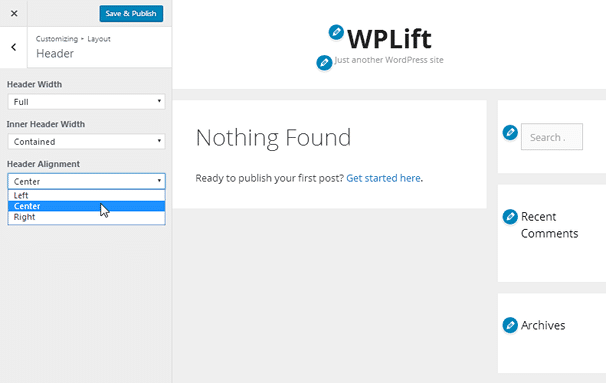 Developer Friendly – This theme comes with multiple WordPress hooks and filters for developers to play around with. 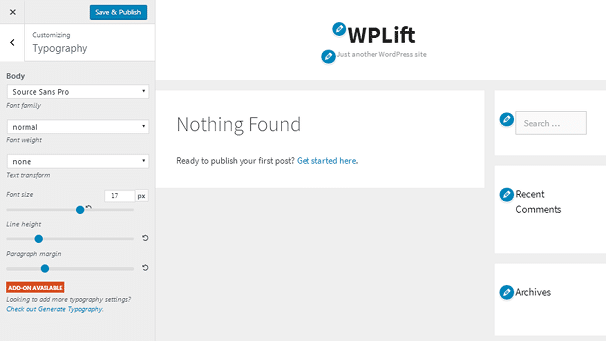 This theme is available in the WordPress theme repository, so installing it couldn’t be easier. All you need to do is go to Appearance → Themes, click Add New, search for “generatepress”, install the theme, and activate it. 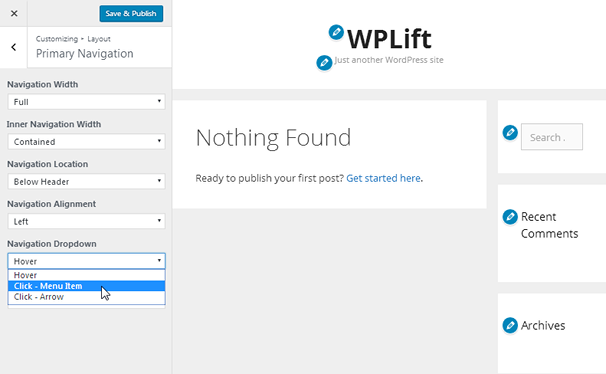 This adds a new section under the Appearance tab in the WordPress admin area. 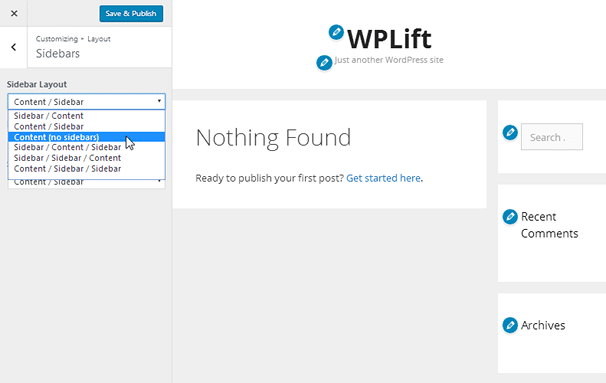 You can access the WordPress live theme customizer from this page, or you can click links that lead to more information about each and every one of GeneratePress’ add-ons. Let’s talk about the live theme customizer. 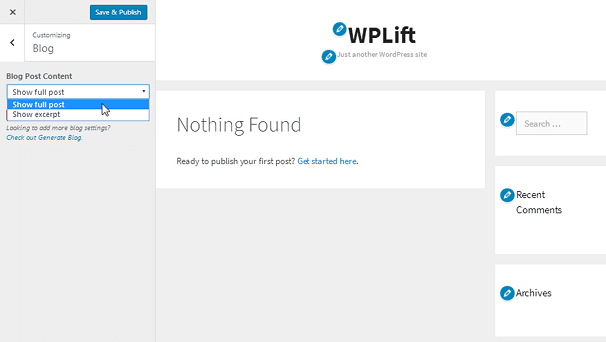 The Site Identity section of this theme more or less matches the Site Identity section of WordPress’ default theme, so we’re going to skip to the Layout section. You can see the default layout this theme uses in the image above. This is meant to be a starter theme, so you won’t be able to add more styles to your content without building it yourself or purchasing the premium version. You can, however, use your favorite page builder plugin to create a design. 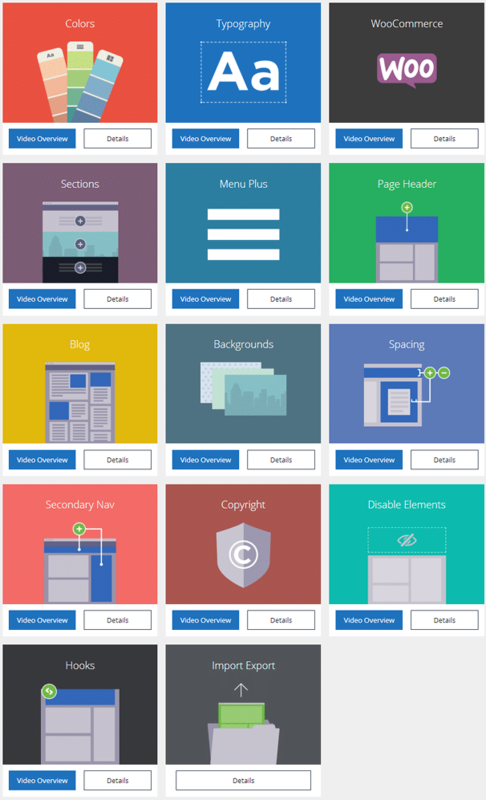 Elementor, for example, is a free and powerful drag-and-drop page builder plugin that works seamlessly with GeneratePress. The developers of the plugin have even published a tutorial on how to create a responsive homepage with a GeneratePress + Elementor combo, and Tom, the developer of GeneratePress, has praised Elementor for how well it works with his theme on his forum. 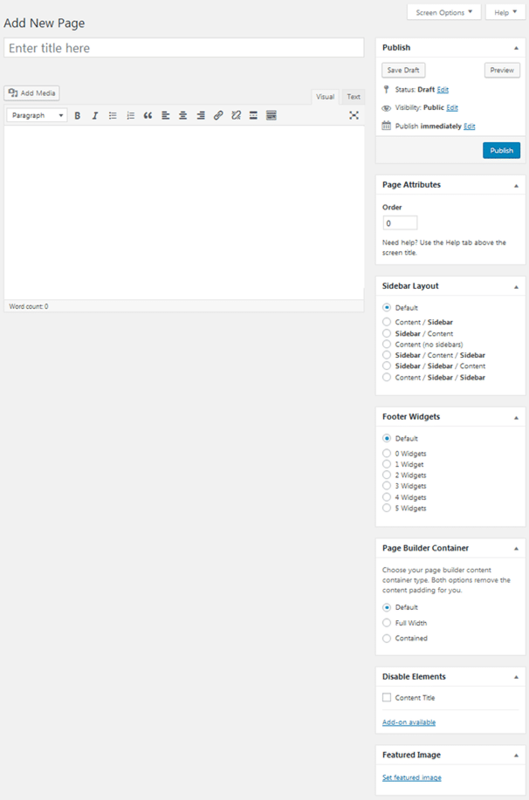 There are also three footer widget areas visible on this page, which are blank by default. You can view the vast amount of widget areas this theme provides for you when you go to Appearance → Widgets. There are a lot of powerful features in this section that allow you to control the overall layout your version of this theme uses. For example, the container section allows you to set an exact width for the container’s width. The Header section allows you to choose a Full or Contained width for the Header and Inner Header, and you can even choose the alignment your header uses. You can configure similar settings in the Primary Navigation section, control the action required to make dropdown menus appear and choose whether or not a search function exists in the menu. You can also control sidebars for three individual page types, which are general pages, the Blog page and single post pages. Lastly, the Footer section allows you to choose which type of footer widths you use, how many footer widget areas you use and whether or not you want to use a “Back to Top” button on your site. The Typography section allows you to configure settings for the main body text your site uses. This includes fonts, font weight, size and more. You can also change one basic setting for your Blog page, which is whether the posts on this page display full posts or excerpts. 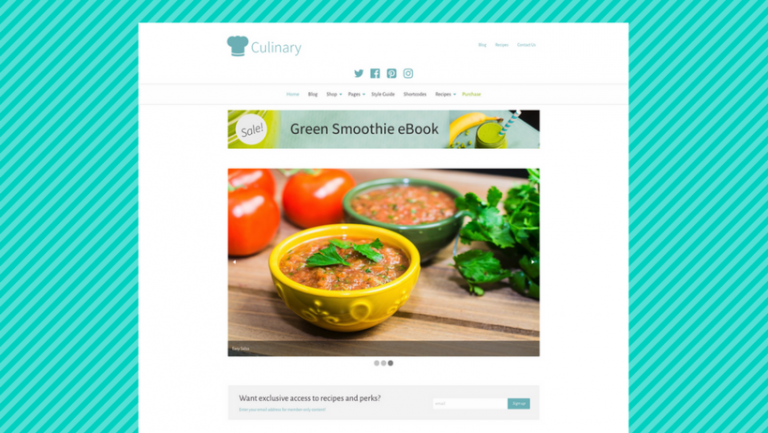 You can see in the image above how this theme allows you to choose different layouts for individual pages. This includes being able to have a sidebar on one page and a full-width layout on the next. 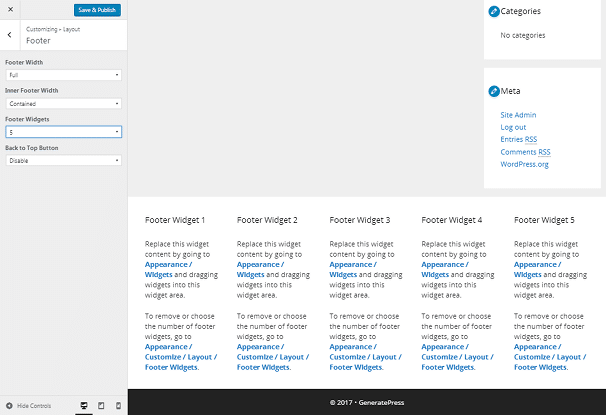 It also includes being able to use four footer widget areas on one page and only three on the next. You can do the same for new blog posts. 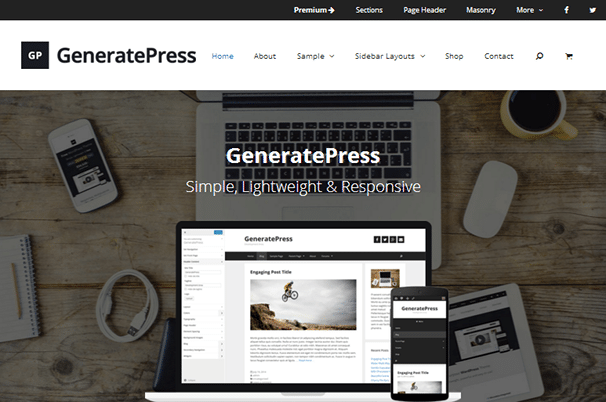 GeneratePress is a great WordPress theme for developers, and it can even be great for those experienced with at least one pagebuilder plugin. If you don’t want to start with the basic free theme, you can purchase the available add-ons, as stated before. You can’t buy each add-on individually, unfortunately, but they’re all available for a low price of $39.95/year. You’ll have access to every add-on the developer offers for a year, and you’ll even have access to any additional ones he releases throughout your time as a premium user. Your purchase is also protected by a 30-day, money-back guarantee. Install this theme yourself to see if it’s the right starter theme for you. Thanks for useful information. Cheers !